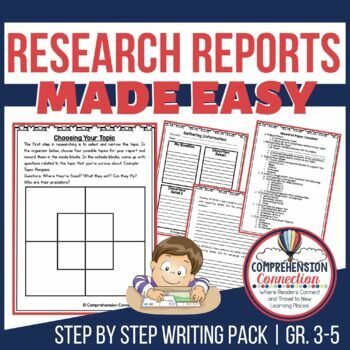 This guide is intended to help guide your students through the research report writing process. 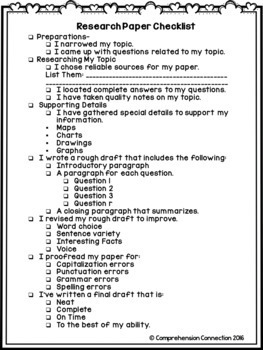 Students choose a topic and key questions, dig to find the answers to those questions, draft a report based on the information gathered, follow a writer's checklist to ensure quality work, and produce a final draft. 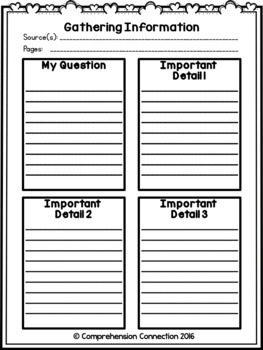 This set includes printables for the student to use throughout the process. 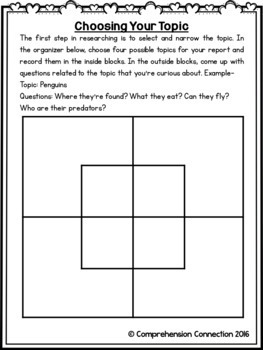 The set can be used for animal reports, famous people, landmarks, and more. It includes 11 pages with step by step directions. For an indepth look at this set, you can check out the preview included.